Just add 2-3 drops of our Signature Blending Oil to 1 ounce Scent Free Product. 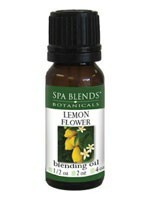 Spa Blends Botanicals high quality oil concentrates can be mixed and matched to create many wonderful blends. Do not apply directly to the skin.